Location was great overlooking the river. The apartment was like a home away from home. The terrace was great for tea and boat watching. Marie's hospitality was excellent. The kitchen was so well equipped. The location was exceptional, right on the canal. The apartment was charming with lots of natural light and special touches and decorations for Christmas. It exceeded our expectations! 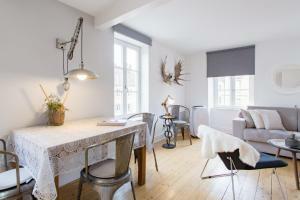 Perfect location, beautifully decorated apartment and great host!! She thought of everything to make sure we felt at home. Would return in a heartbeat!! Wonderfully comfortable, spacious, and well furnished apartment. The kitchen was very well equipped, the gratis wine, drinks, Nespresso pods, and water was such a wonderful touch. Our balcony gave us a wonderful view of the canal and we enjoyed having tea and coffee every morning and evening in spite of the November weather. All of Petite Venise was at our doorstep and the location can't be beat. Marie was very responsive to all our questions and went over everything from the washer/dryer to the Wifi. One of the best apartments we've stayed in over the years. Highly recommended. Everything in this apartment was beautiful. This is one place I will definitely stay again. The host was very helpful in offering to pick us up from the train station and the location couldn’t be better. We even had a terrace overlooking the petite venise. A relaxing stay with all of the amenities of home. It was great being able to do laundry as well. Beautiful views of the canal. Very close to a number of good places to eat. And the host had the property super clean, met us personally, had a notebook covering all the questions you may have, and in our case a complimentary bottle of Alsatian wine. What’s not to like! Yes, it is up 5 flights of stairs as we had the loft but I’d definitely book again. 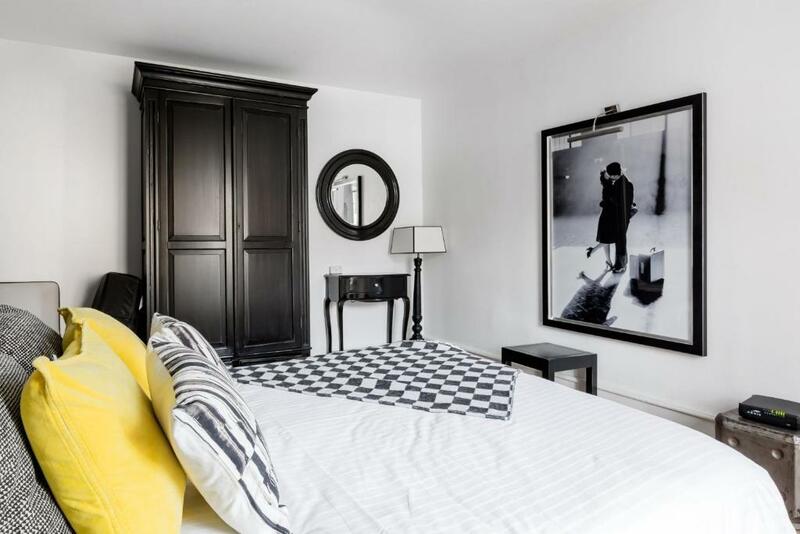 Lock in a great price for Reflets Sur La Lauch appartements – rated 9.9 by recent guests! One of our top picks in Colmar – and a guest favorite. 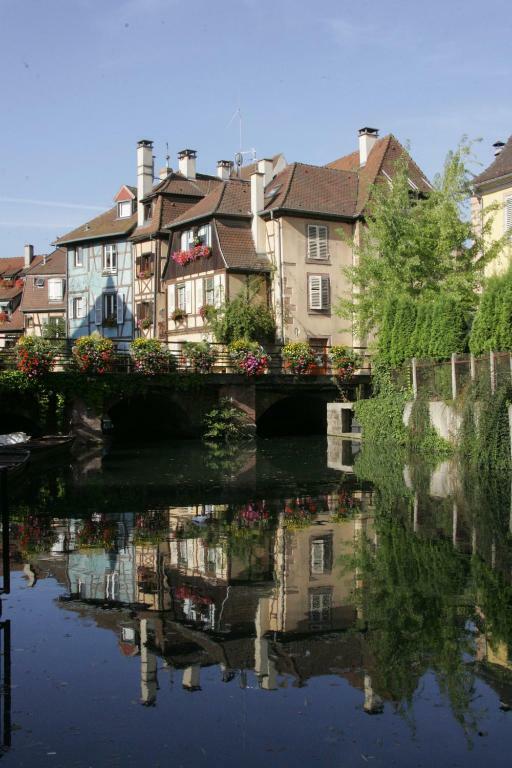 Featuring free WiFi, Reflets Sur La Lauch offers accommodations next to the Little Venice of Colmar and with a view on Lauch River. Saint-Martin Collegiate Church is 1,000 feet away. The accommodations features a seating and dining area. Some units feature a terrace and/or balcony with river views. There is also a kitchen, equipped with a dishwasher and oven. A microwave and coffee machine are also provided. 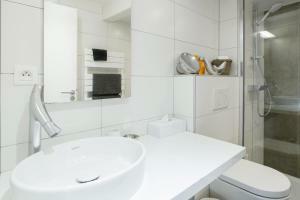 Each unit is equipped with a private bathroom with a hair dryer. Bed linen is offered. House of the Heads is 1,650 feet from Reflets Sur La Lauch. Euro Basel-Mulhouse-Freiburg Airport is 34 mi from the property. 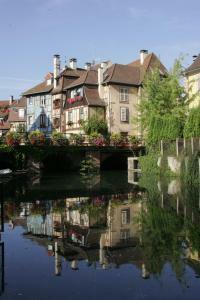 This property also has one of the top-rated locations in Colmar! Guests are happier about it compared to other properties in the area. 뀐 Located in the real heart of Colmar, this property has an excellent location score of 9.9! 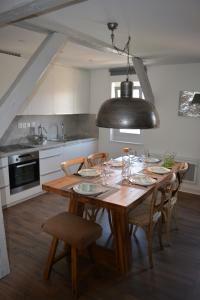 When would you like to stay at Reflets Sur La Lauch appartements? This apartment has a bathrobe, seating area and dining area. 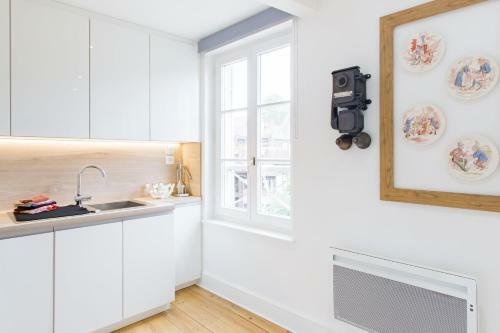 This apartment features a private entrance, electric kettle and kitchen. This apartment has a washing machine, dining area and private entrance. Située sur le pont Turenne , au pied de l'incontournable petite Venise notre maison à colombages "Reflets sur la lauch" vous offre cinq appartements indépendants ,totalement rénovés, parfaitement équipés et lumineux. Vous séjournerez au coeur de la vieille ville et disposerez de toutes les commodités à proximité immediate . Cinq logements qui ont chacun leur univers. Colmarienne d'adoption depuis 30 ans , je me ferais un plaisir de vous recevoir et de partager mes adresses avec vous . Passionnée de cuisine et décoration , j'ai mis un soin particulier à faire de nos appartements de véritables cocons. La carte postale de Colmar par excellence ! Le quartier de la petite Venise est un ilôt de verdure romantique . Vous y trouverez toutes les commodités , restaurants , traiteurs , boulangerie, boucherie ...etc . 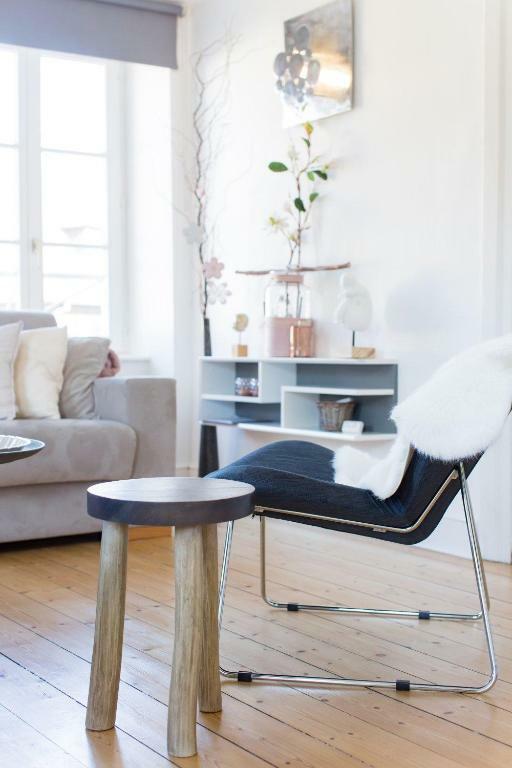 House Rules Reflets Sur La Lauch appartements takes special requests – add in the next step! Please inform Reflets Sur La Lauch appartements of your expected arrival time in advance. You can use the Special Requests box when booking, or contact the property directly using the contact details in your confirmation. We unfortunately found the bed two small for us for a comfortable nights sleep. The location was excellent. Apartment had everything you would need. Lovely host met us and helped us with our luggage up the stairs. There was a bottle of wine in the fridge for us as well as milk. Best of everything! The location is perfect with great view of Little Venice, Apartment is very beautiful, clean and well equipped, apartment owner Marie is the best, she is very thoughtful and friendly, she prepared a detailed guidance for guests, including information about the apartment and everything you need to know when traveling in Colmar, like local restaurants she recommends. 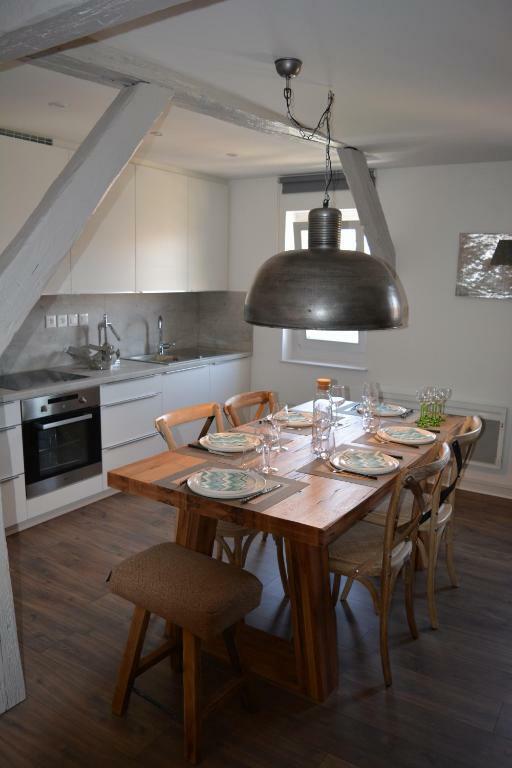 If we have chance to visit Colmar again, we will definitely book this apartment ! I would stay here again if we return to Colmar. Marie was incredibly thoughtful and considerate. We thoroughly loved our stay at the property and it included everything we needed plus it was super clean! The location was perfect as it was situated in Petite Venise so it was very picturesque plus there were several good dining options right at our door step. The bathroom was not ensuite. Otherwise, everything was perfect. We absolutely loved this apartment. The location in little Venice was gorgeous. The apartment had everything you could think of and the host also provided lots of little extras. We highly recommend this apartment! Just be aware that there's no lift to the loft apartment. So getting luggage up there is a bit of effort if you have quite a bit like we did. Having said that the host helped with that as well. The apartment was amazing. 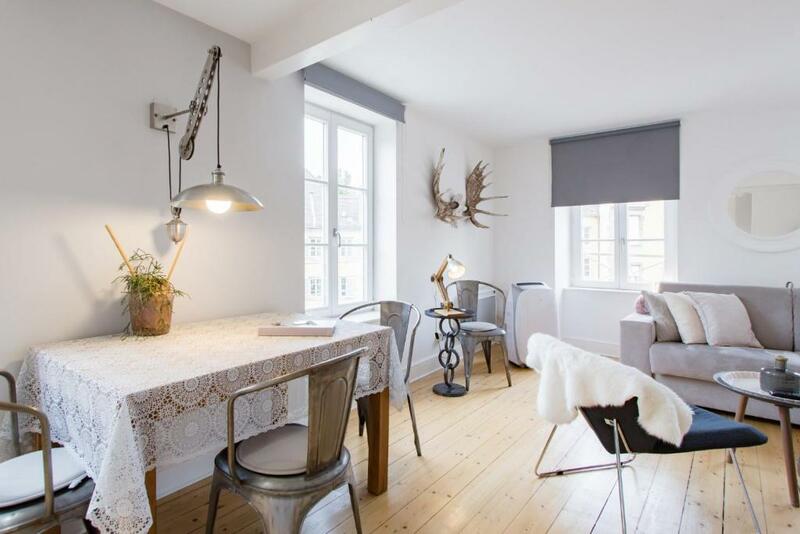 Fantastic location, right in the middle of little Venice area of Colmar and right on the canal. Near the christmas markets and on cobblestone streets. View from the apartment looked straight onto the canal, a bridge over it, and the other quaint buildings in the area. 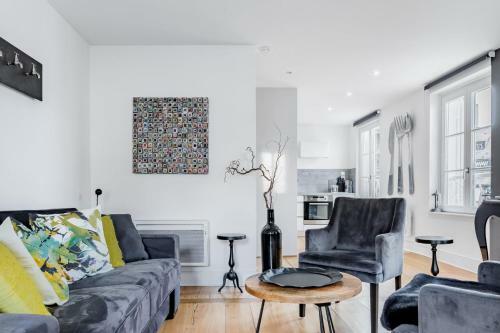 The apartment was styled beautifully, spread across a main level and a loft level with the main bedroom in it. This location was an absolute highlight of our trip. I got lots of brownie points from my wife for booking it! Patisserie / Chocolatier in the bottom of the building was bonus for the location too. Beautiful house, central location, great hostess. The house had pretty much everything you can ask for. Nice details all around the place. Marie is very friendly and warm person. My little son didnt want to leave.. Amazing vacation in Colmar!! !